Join Networking and Cybersecurity experts, DJ Goldsworthy of Aflac and Ven Savage with Morgan School District at this exclusive virtual event hosted by Infoblox's Cricket Liu. This panel will also be joined by leading security research industry analyst, Chris Kissel from IDC. During this event you will hear how the Network Operations Center (NOC) and Security Operations Center (SOC) are two critical pillars in any organization. Both teams must work together to keep the network up and running and protect it against cyberattacks. Most NOC and SOC teams work in silos, generating their own incidents using tools that often don’t integrate well. Find out how your organization can decrease incident response time, improve agility and get a single pane of glass visibility across the entire network by working together. Cricket is one of the world’s leading experts on the Domain Name System (DNS), and serves as the liaison between Infoblox and the DNS community. 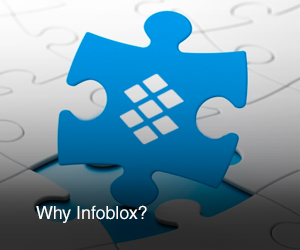 Before joining Infoblox, he founded an Internet consulting and training company, Acme Byte & Wire, after running the hp.com domain at Hewlett-Packard. Cricket is a prolific speaker and author, having written a number of books including “DNS and BIND,” one of the most widely used references in the field, now in its fifth edition. DJ Goldsworthy is director of Security Operations and Threat Management at Aflac. 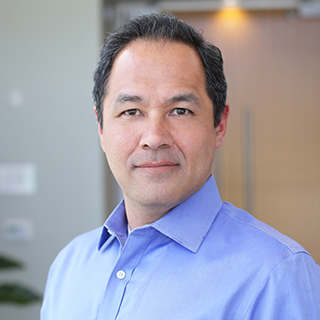 He is responsible for driving the strategy for security operations, incident response, threat management, vulnerability management, security administration and application security, with a focus on global security practices. He is also global practice lead for the Aflac Global Threat and Vulnerability Management team. For the past two years, Goldsworthy oversaw the implementation of a cutting-edge global threat intelligence system, while implementing an award-winning vulnerability management program and establishing a proven security analytics practice for monitoring threats. Chris Kissel is Research Director in IDC's Security Products group, responsible for cybersecurity technology analysis, emerging trends, and market share reporting. Chris’ primary research areas are identity access management (IAM) and security and vulnerability management (SVM) platforms. His cybersecurity research extends beyond premises-based solutions and also includes the establishment of identity across heterogeneous networks (including cloud environments), and the role of analytics pertaining to SVM. Chris is also a frequent speaker, presenter, and moderator at industry conferences and contributor to major business and technology media outlets.